You’ll probably know them, the boys and girls from Netflix. Once started as a DVD delivering service, Netflix became one of the biggest media companies in the world. ‘Binging’ and even the slightly R-rated ‘Netflix and chill’ are well known and everybody around you seems to have an account. There’s only one flaw. It’s impossible to watch US content (the biggest library) if your account is ‘foreign’. But as always, there’s a solution: VPN. But what’s the best VPN for Netflix? 5 Euro VPN Smart DNS combined with awesome prices. Best pick! 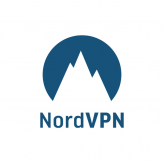 NordVPN is a provider that understands the importance of circumventing geoblocks. That’s why they developed their smartplay function, a combination between VPN and smart DNS, which works perfectly. Companies like Netflix work very hard to find and ban IP addresses that link to VPN servers. ExpressVPN’s team monitors this strictly and when Netflix bans a server, they immediately open up a new one. Before we look into the best VPN for Netflix, it’s important to understand how VPN is able to control the amount of content you can watch on Netflix. It all starts with so called geoblocking. Media companies don’t own the same rights for the series and movies they’re streaming in every country. That’s why Netflix restricts their library for every single territory. Only subscribers in countries that they own the specific rights for, are able to watch these movies and series. Netflix just blocks content in countries that they don’t have the rights for. Because of this, it happens a lot that US subscribers can watch a whole lot more than their paying counterparts in other countries. For example, the US Netflix library is three (3!) times bigger than the French one. Making it even more frustrating that it’s impossible to access US Netflix from any other country. You don’t have to be the well known rocket scientist to figure out people are looking into ways to watch US Netflix from abroad. Best way to do this is a VPN. This Virtual Private Network secures your online connection and protects your privacy. By encrypting your data and making it anonymous. How this works? When you connect to a VPN server, you’re online with the IP address linked to that server. Not your own IP address. And when this server is stationed in the USA, you’ll be working with a US IP address. And Netflix automatically will serve you the US library. So by using a VPN, you can ‘trick’ Netflix, and still be able to watch the huge list of content in the USA from abroad. Travelling to the USA, these EU legislation on geoblocking aren’t in effect. The German tourist mentioned before will be served the US Netflix content while on a citytrip to New York. Outside the EU, Netflix works with the location of the server you’re on, not your account. Which makes it possible to also watch US Netflix from abroad, using a VPN server located in the USA.